As an AME sponsor, you will help AME and its members promote practitioner-to-practitioner learning and inspire a commitment to excellence in manufacturing. For additional opportunities and custom sponsorship packages, please contact Darlene King, AME Director of Operations, at (224)232-5980 ext. 229 or via email at dking@ame.org. Download our sponsorship flyer here. 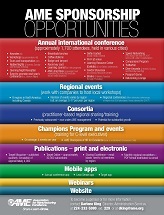 Interested in Sponsoring AME's International Conference? Reach your target audience for a concentrated period. Reinforce your brand with strong exposure. Increase sales leads through multiple opportunities. Extend your impact with pre- and post-event coverage. Receive unparalleled access and positioning with decision makers from some of the largest and best known companies in North America and around the world. To discuss custom sponsorship packages which will meet your promotional needs, please contact Darlene King, AME Director of Operations, at (224)232-5980 ext. 229 or via email at dking@ame.org. 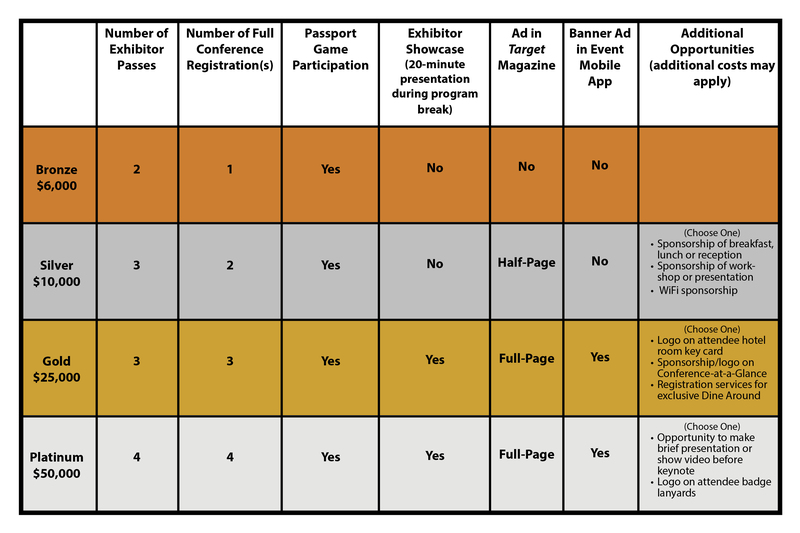 Learn more about sponsorship opportunities for AME Chicago 2019.